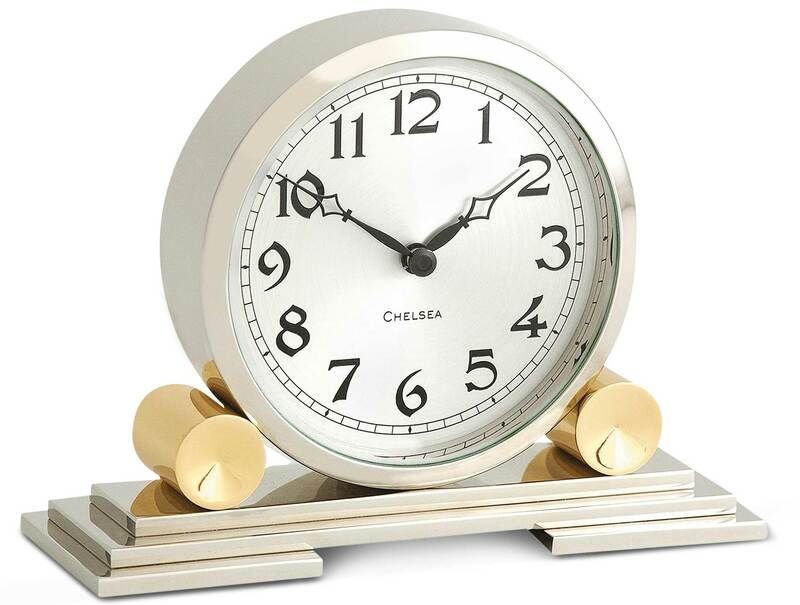 These handsome Chelsea timepieces are sure to be a focal point for any stylish living room mantle or executive desk. 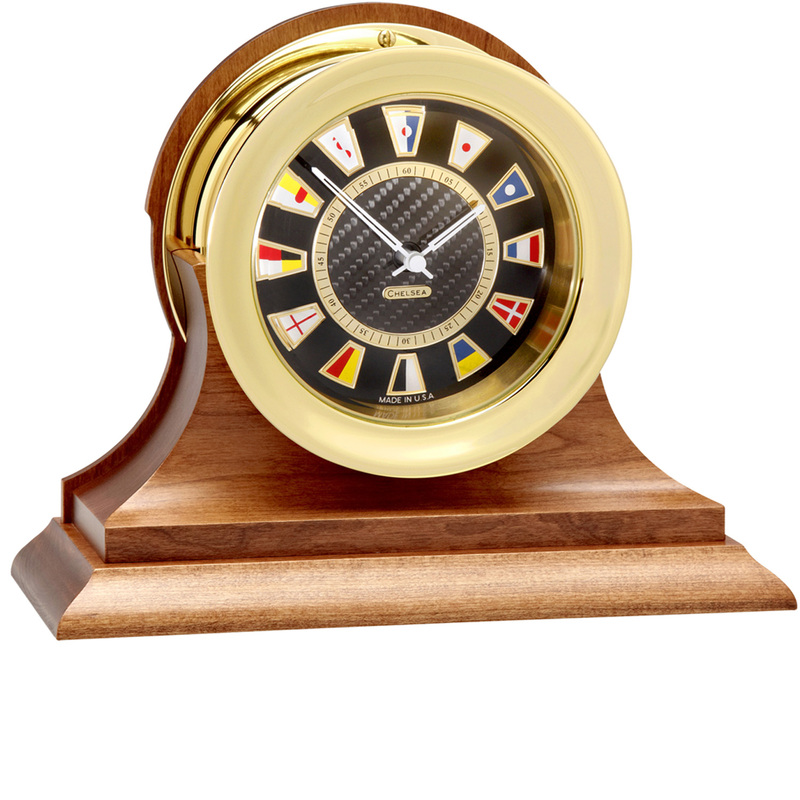 All are presented with bases made from the finest mahogany or cherry woods. 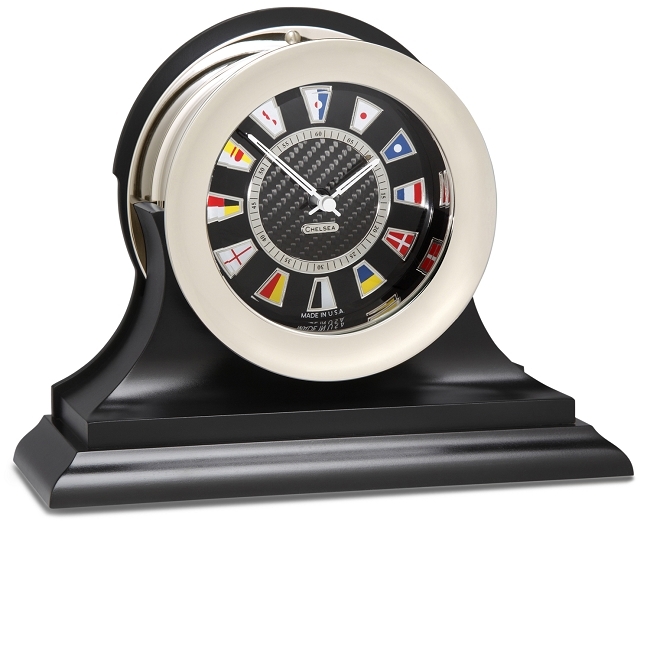 Or, if you prefer a more contemporary look, choose the ebony black base. 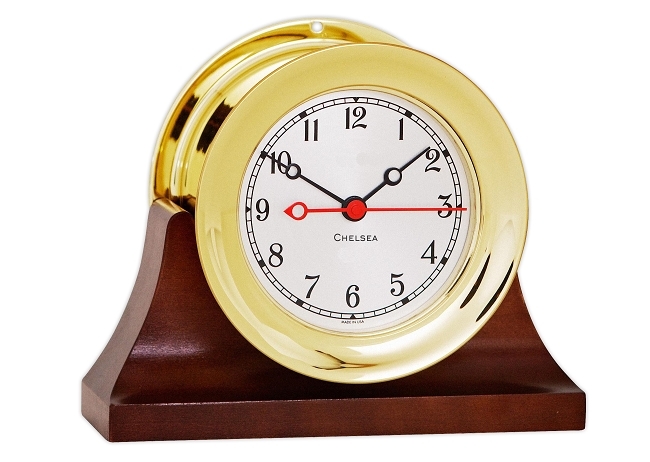 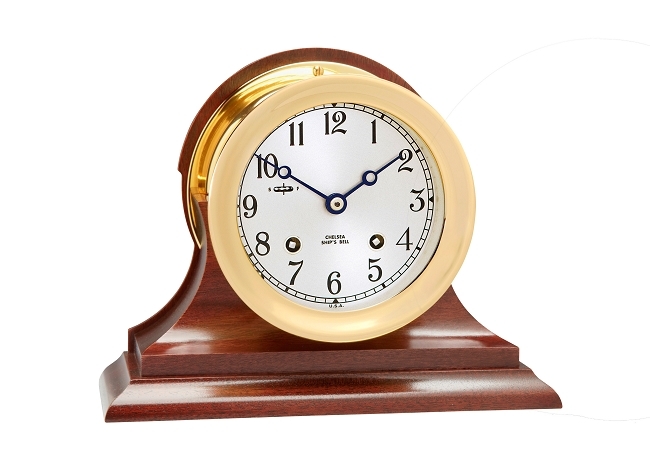 Regardless of your choice of woods for the base, the main element is that these are prestigious timekeepers made by the Chelsea Clock Company, the oldest clock manufacturer in the U.S. Chelsea traces its founding lineage back to 1884 in Boston. 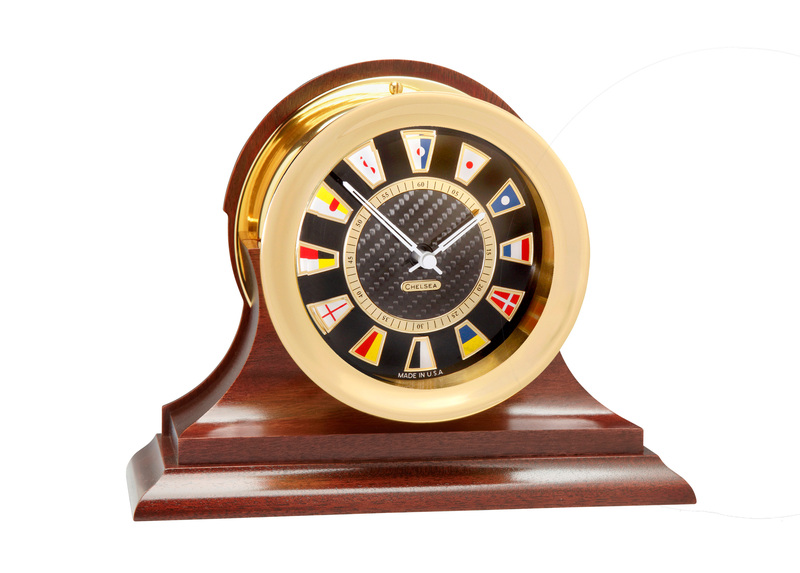 Make your selection from our various Chelsea clock collections: The Carbon Fibre Series -- The Ship's Bell Series -- The Shipstrike Series - or, Chelsea's Decorative Clock Series. 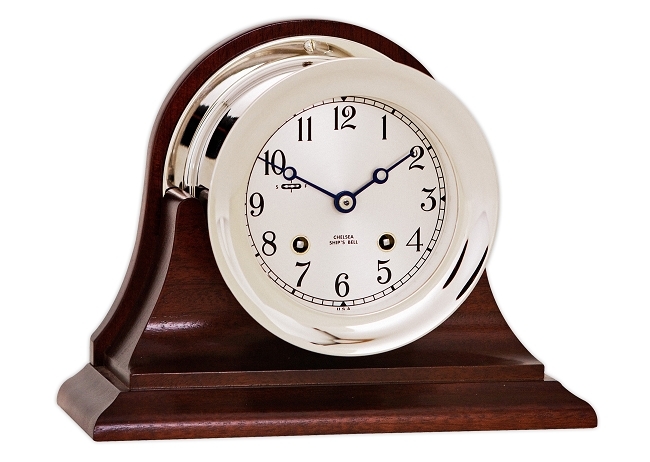 See the images below for examples of each series. 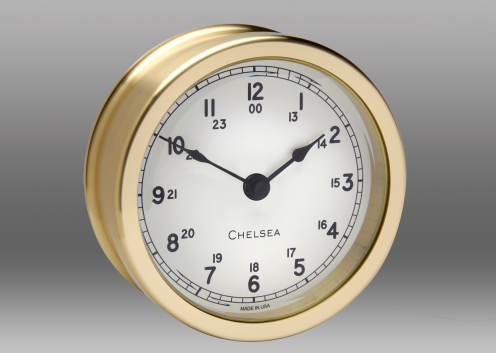 Click here for comparison of Chelsea "Ship's Bell" vs. "Shipstrike" Clocks.